Manufacturers of runway deicers, wing deicers, aerospace cleaners and dry film lubricants face very specific challenges. 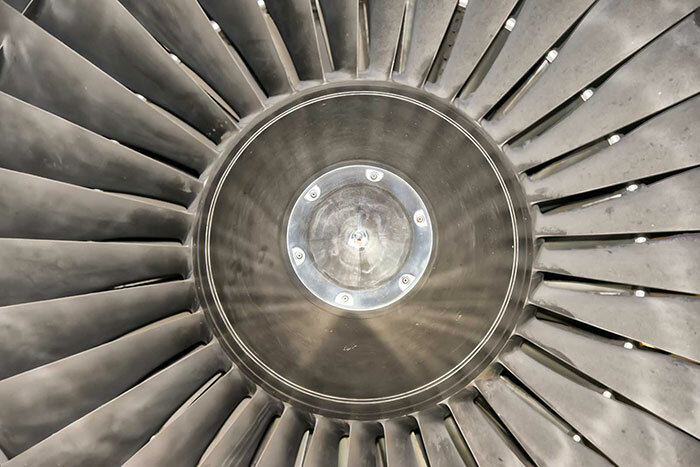 Typically aircraft and payloads makers use strong, yet lightweight materials, such as advanced light aluminium alloys. Operators must prevent the possibility of in-flight failure of any of the aircraft parts. Moreover, many conventional lubricants can evaporate or cease to function in a thin atmosphere or in the vacuum space. In order to maintain flight schedules all year round, many airports use deicer to clear runways in the winter. Additionally, many flight operators use aircraft and wing deicer to enable their planes to take off. Since these products go to ground in the melt water, it is important to use safe, biodegradable, non-bioaccumulating products. In general, the transport industry generates and releases a lot of atmospheric carbon. Governments and the industry take very seriously the responsibility to mitigate the environmental impact of air travel. Furthermore, aircraft developers are making great improvements in fuel efficiency and alternative energy powered flight. Airports and flight operators are making advancements in reducing carbon emssions. Improved lubricants can make an important contribution to carbon emissions reduction. Specifically, improved lubrication can reduce fuel consumption. Moreover, lower oxygen demand biodegradable cleaners and deicers also help reduce the carbon footprint. Oxygen demand is a measure of the effort and energy an organism has to put into biodegrading a substrate chemical. In biodegradation, organisms use organic matter for nutrition. Nutrition involves absorption of nutrients, breaking them down by digestion, and repurposing their constituents. If the nutrient substrate chemical isn’t a protein or a fat, the products of digestion are used for respiration. All nutrition processes require an initial input of energy, this energy being provided by respiration. The more energy that is needed to absorb and digest a substrate, the more the organism must respire to release the required energy. In aerobic respiration, the organism reacts oxygen from the air with the breakdown chemical products from digestion. This reaction releases energy and the waste products are carbon dioxide and water. If a biodegradable chemical has a low oxygen demand, it means that organisms can digest it easily. Consequently, an organism will not need to respire as much when degrading a lower oxygen demand material. Furthermore, this means that organism will use less oxygen and will release less carbon dioxide to the atmosphere. Carbon dioxide is the same greenhouse gas that burning aviation fuel releases to the air. Therefore, using lower oxygen demand aerospace deicers and cleaners, significantly reduce carbon emissions. In thin atmospheres or in the vacuum of space, many lubricants become ineffective. For example, oil and other liquid lubricants can evaporate away at low air pressure. Consequently, liquids can only be used as aerospace lubricants in closed systems. Graphite is a solid lubricant made of graphene layers that can slide over each other. However, graphite needs to have some adsorbed water molecules between its layers in order for them to slide. At low air pressure, the water desorbs and evaporates away, leaving a non-lubricating graphite film. By contrast, molybdenum disulphide is an intrinsic solid lubricant. Layers of molybdenum disulphide are further apart and can slide without the need for adsorbed water. Molybdenum disulphide can be applied as a dry film lubricant using one of our dispersions. The metals and alloys used in aerospace engineering can corrode when in contact with water. This can take the form of melt water from deicing, or it can come from an aqueous cleaning product. Aircraft manufacturers use many different specialised metals and alloys. Any maintenance fluid product that contacts these metals must pass international standards for corrosion. Testing houses, such as SMI typically run a battery of standardised corrosion tests on aerospace products before granting approvals. Brad-Chem helps many manufacturers of aerospace deicers and cleaners to gain aerospace approvals. We work with the manufacturers to ensure that we offer aerospace corrosion inhibitors that give optimal results in their formulations. Additionally, aerospace metals and alloys suppliers also use our aerospace products. Different deicer and cleaner manufacturers face different corrosion challenges. Each manufacturer has their own formulation and they affect different metals. Consequently, we help to ensure that we offer the best possible solution for each formulation. Contact us to see how we can help your product to gain aerospace approvals.